Social Practice Queens (SPQ) is a partnership between Queens College of the City University of New York and the Queens Museum to offer one of the first Master of Fine Arts (MFA) degrees with a concentration in Social Practice. The SPQ program encourages participating students to develop projects in tandem with the Queens Museum’s ongoing community-based activities. 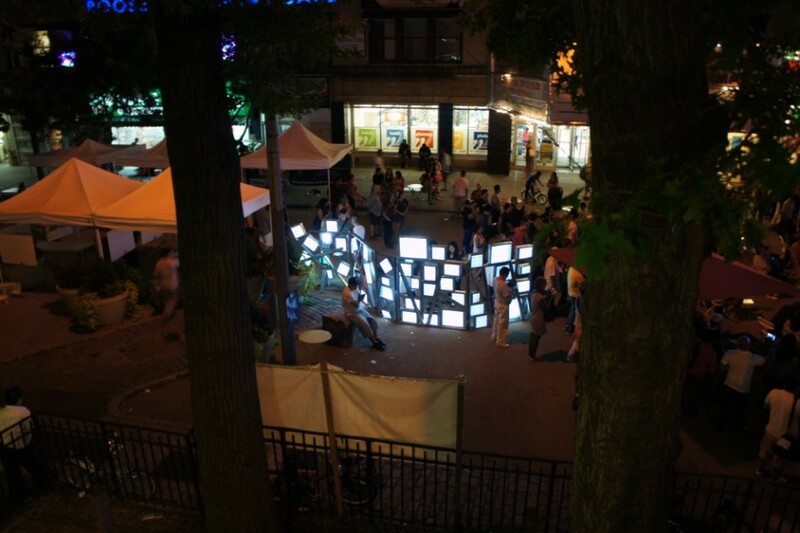 In Spring 2012 Corona Studio: Transforming Corona Plaza was an experimental team-taught course led by Professors Gregory Sholette and Maureen Connor from the Art Department, together with Professor Tarry Hum from the Urban Studies Department. This cross-disciplinary class combined the history and theory of social practice art with aspects of urban research and design. 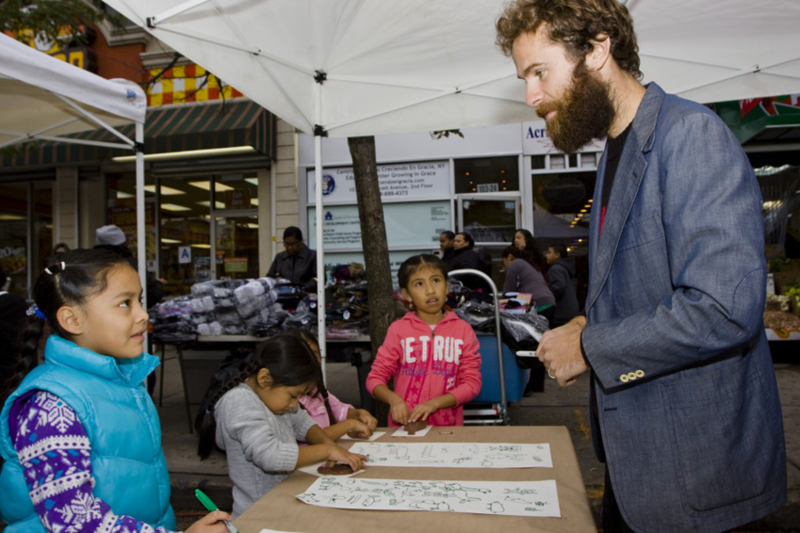 Art students collaborated with social science students to uncover the needs of various stakeholders in the Queens community of Corona and to apply their findings towards the community conversation surrounding a planned redesign of Corona Plaza. In Spring 2013, Connor taught the second official SPQ seminar, a syllabus jointly developed with artists Caroline Woolard, Scott Berzofsky, Robert Sember, Mark Read, Laurel Ptak, Sasha Sumner, Shane Aslan Seltzer, and Susan Jahoda. 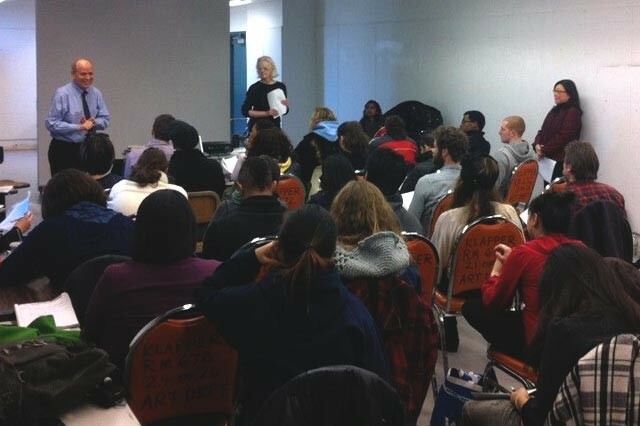 In fall 2013, Sholette partnered with former Queens Museum Executive Director Tom Finkelpearl to lead the third official SPQ seminar, which will critically survey the theory and practice of recent, politically engaged visual culture, while simultaneously locating it within the history of mainstream contemporary art. Also, MFA students will collectively occupy a studio in the Queens Museum’s new studio program, which will serve as headquarters for their Queens-based projects as they continue to move forward with the support of the Museum and its partners. To find out more, including how to apply and for updated event listings, visit Social Practice Queens. Social Practice Queens is supported by grants from The Kresge Foundation, Surdna Foundation, and Institute of Museum and Library Services. Additional support provided by the New York City Department of Cultural Affairs and New York State Council on the Arts with the support of Governor Andrew Cuomo and the New York State Legislature.